On Remembrance Sunday the Berkhamsted School community gathered together to honour the fallen men and women from war. To mark the 100th anniversary of the end of the First World War the congregation of students, staff and guests reflected upon the sacrifices made to protect the freedom of future generations. During the service the school unveiled an impactful and thought-provoking silhouette that fills a seat within Castle Chapel. 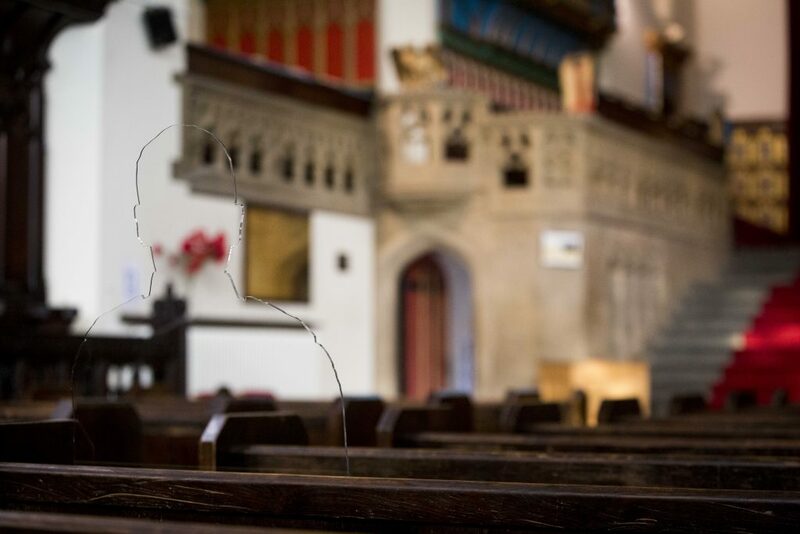 The ‘There But Not There’ installation represents the Old Berkhamstedians lost in World War 1 bringing them back into the community they left behind. The project is led by national charity Remembered and Berkhamsted students will support the charities aims of commemorating the fallen, understanding the impact of war and healing those suffering from hidden wounds. Jane Markby Berkhamsted School’s Chaplain lead the Remembrance Sunday service. She said “Previous generations of Berkhamstedians gave the ultimate sacrifice to secure and protect our freedom and Remembrance is therefore a poignant and thought-provoking act throughout the school. Earlier in the week a tribute was made to Sir Brett Mackay Cloutman, a Berkhamsted student between 1901 and 1906. During the Great War he came Major in command of the 59th Field Company. He was awarded the Victoria Cross, the highest and most prestigious military award for his bravery. Berkhamsted staff and former students proudly attended the unveiling of Cloutman’s Victoria Cross commemorative stone in Hornsey – the location of his birth. 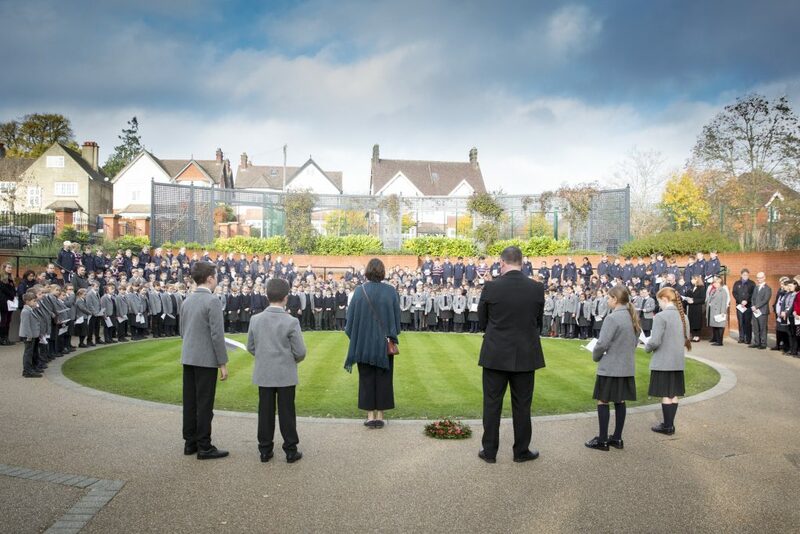 Remembrance was marked in a distinct way throughout the Berkhamsted family of schools. An open-air assembly at Berkhamsted Prep saw nearly 400 staff and students gather around the amphitheatre. They fell silent for two minutes after listening to the powerful words from the School Chaplain. At Heatherton, Year 2 through to Year 6 spent the week researching their families’ World War 1 history. This fascinating exercise captured the children’s imagination as they discovered new facts about their ancestry. They were proud to share stories with the rest of their class; using models, presentations and different techniques to commemorate their families. Berkhamsted Pre-Prep laid the memorial wreaths they had created earlier in the week. Having learned about World War One in the classroom, they followed this with a one minute silence of reflection. We would like to share with you our latest, exciting addition as we approach the centenary of #ArmisticeDay. Charles Greene, the Berkhamsted headmaster who refused to celebrate the end of WW1. A fascinating read by Patrick Cockburn whose father was a student at the time.